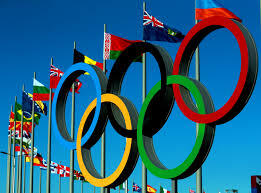 Murder at the Olympics: An Olympics Crime Fiction list! It shouldn’t come as a surprise that the Olympics have been filled with drug scandals, sexual intrigue, disappearing athletes, death and theft! So the Olympics have played a very important part in crime fiction and in true crime. Here’s a Olympics Mystery List (both Summer and Winter Olympics).